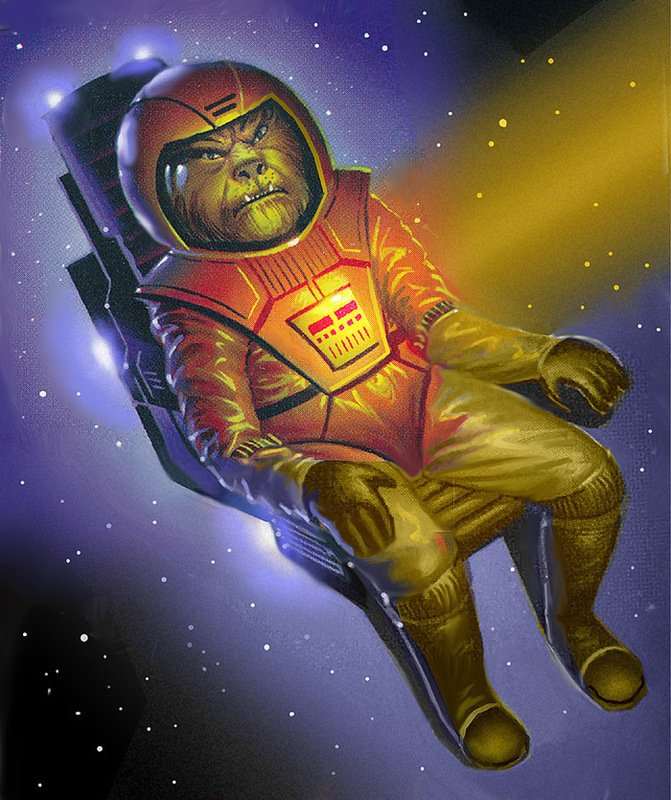 Artist Alan Gutierrez has posted two more of the paintings that he created for the 1995 Wing Commander Collectible Trading Card Game. These two 'Luck' cards represent two of the fifteen paintings Mr. Gutierrez created for the game. 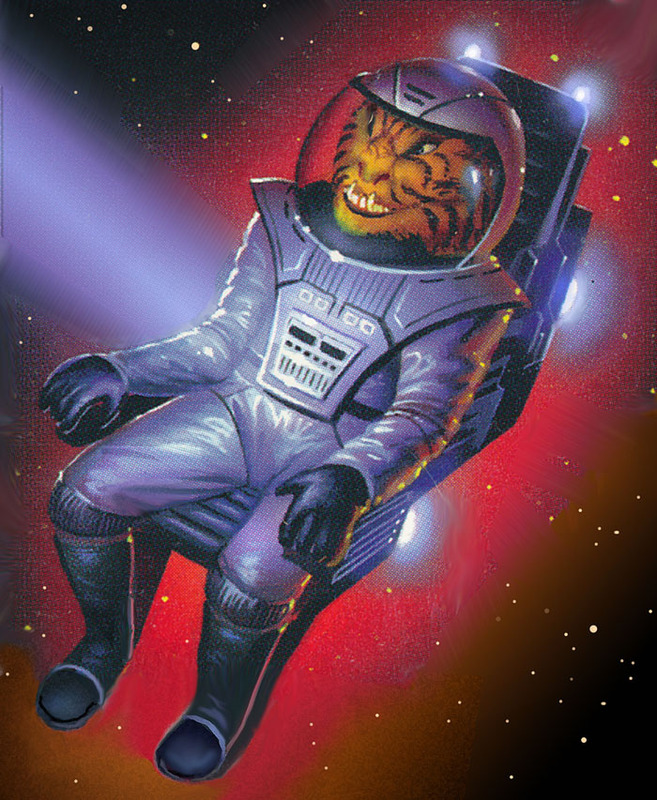 You can learn more about his fantastic work on the card game here. 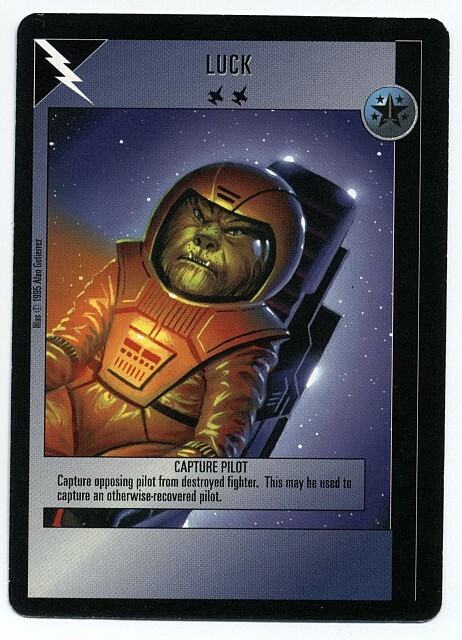 First up is Kilrathi Capture Pilot which was a Confederation Luck card that allowed the human player to take an enemy pilot from a destroyed fighter. This Kilrathi is none too happy at being captured, and is one of 4 "Luck" cards I did, showing 2 of each adversary. 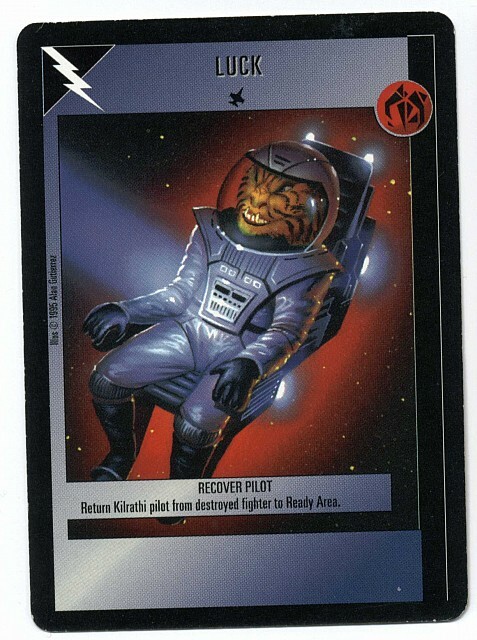 The second painting is its counterpart, Kilrathi Recovery Pilot, which was a Kilrathi card that allowed the alien player to recover a pilot from a destroyed ship.